This made me smile. I pass it on to you. Amen! 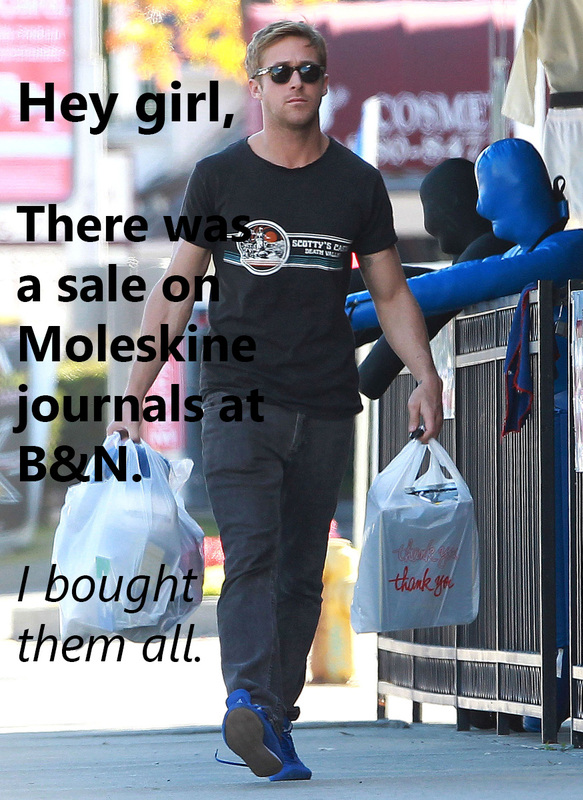 One can never have too many moleskine journals. Ever. I’m with you there! Walking into a bookstore is, to me, the way some people must feel when they start their vacations. I am filled with peace, and I never want to leave. I even blogged about the book store!! I cannot agree more! It was a great post! I always love it when someone understands how I feel in bookstores. Your writing captured those feelings exactly. There’s such a sense of wonder and hope in a bookstore. So many possibilities. Books to read. Adventures to live. Blank pages of journals to fill. When I walk through the doors, all the anxiety of life melts from my mind. For writers, especially, I think this is true. Bookstores hold our dreams. Some of us have books already on those shelves, just waiting to take each reader on a journey. Even for those who don’t, all of those published authors offer hope that someday our names will be next to theirs. Ah, the bookstore truly is my happy place. No problem. I thoroughly enjoyed it.